AOEDE: I reckon the good Doctor Grace would be turning in his grave. I reckon the good Doctor Grace would be turning in his grave. 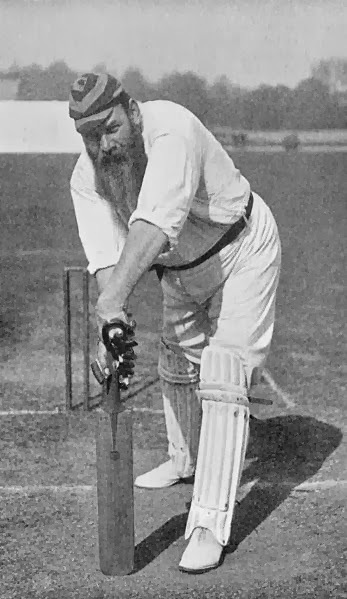 With the recent inflammatory statements from English (South African) Cricketer Kevin Pietersen one wonders what the great W. G. Grace would be thinking. Now you have to know I have become cynical enough, that with the desperate bid for 'bums' on seats and a viewing audience, the PR machine not only condones these ridiculous statements from the so-called personalities of the game, it actually writes the script. Competition for the spectator and advertising dollar has grown so great that you have to keep the game on the front page of the press no-matter what. However, as we get down to mundane statements best left for the weigh-in rhetoric of prize fighters does this really do the game justice. Outrageous comments such as this ultimately lead to stupid drunken behaviour at games as alcohol induced emotions run high. Hey, the game had to change and World Series Cricket at least forced the "establishment" to take note and that players who were being required to play more and more cricket needed rewards commensurate with skill and time committed. The spiral into sensationalistic headline grabbing advertising and promotion I fear will only see the games stature compromised. I fear we will not be happy until we have seen standards lowered to the extent of green,gold,red, white and blue smoke flares being let off in crowds in the fashion of Soccer hooliganism then we shall sit in our boardroom looking over our glasses with a fearful volume of "tut tutting" emanating from around the table. The game is "professional" - please ensure that it stays that way.